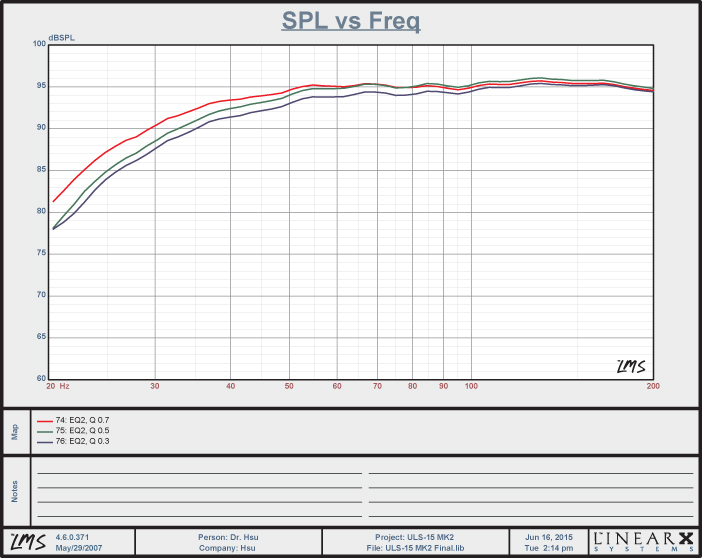 We have increased the output of the ULS-15 by up to 5 dB, added Q control, MBM mode, and reduced the price! The ULS-15 MK2 represents our most remarkable performance per dollar improvement to date. We have increased the output capability of it’s predecessor, the ULS-15, by up to 5 dB, added more flexibility (Q control, operating modes), and lowered the price considerably while retaining the same compact size. We achieved this remarkable feat by platform sharing – our three new models (the VTF-3 MK5 HP, VTF-15H MK2 and the ULS-15 MK2) use as much similar components as possible. The economies of scale of using similar components help cut costs. It shares the same motor structure with multiple shorting rings to virtually eliminate flux modulation distortion. Harmonic distortion is also extremely low thanks to a very symmetric magnetic field. The ULS-15 MK2 now has two operating modes. 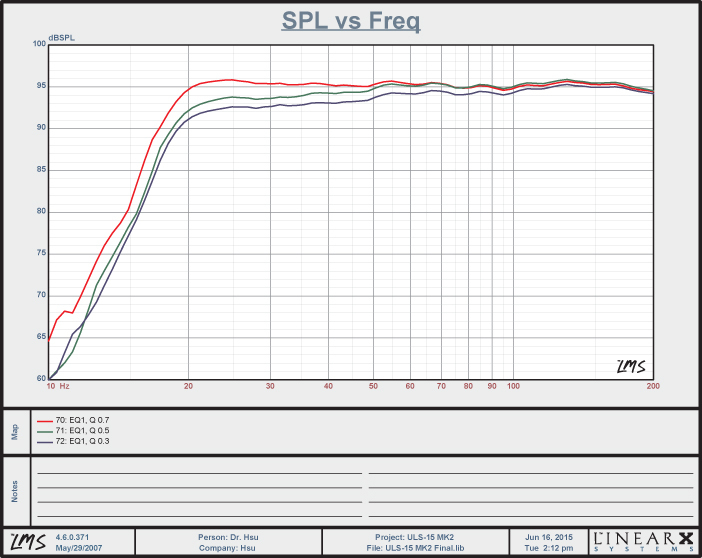 In the regular operating mode, the ULS-15 MK2 has flat response down to 20 Hz in free field. The second operating mode allows the ULS-15 MK2 to be used as a mid-bass module (MBM), with even higher headroom than our MBM-12 MK2. Unlike the MBM-12 MK2, the ULS-15 MK2 even in MBM mode has strong output capability down to well below 20 Hz. "It brought weight and power to the double bass without any sense of exaggeration. The ULS-15 mk2 effortlessly nailed the transient nature of the performance; the sharp pluck attacks of the double bass and the acute starts and stops from the slaps." "The ULS-15 mk2 convincingly relayed the sharp thuds of bullet strikes, the rumble of distant explosions, and the subterranean pounding of outside bombardment within a cave network. Thunderous battle sequences were brought to life by the ULS-15 mk2, and I didn’t get the sense at all that these scenes were being hindered by the dynamic range of the subwoofer." "Overall, the ULS-15 mk2 is a major improvement over the mk1, despite costing much less. It has muchmore composure at very deep frequencies and far more headroom at higher frequencies. […] The mk2 slightly improved on all of its strengths and massively improved on its weaknesses." 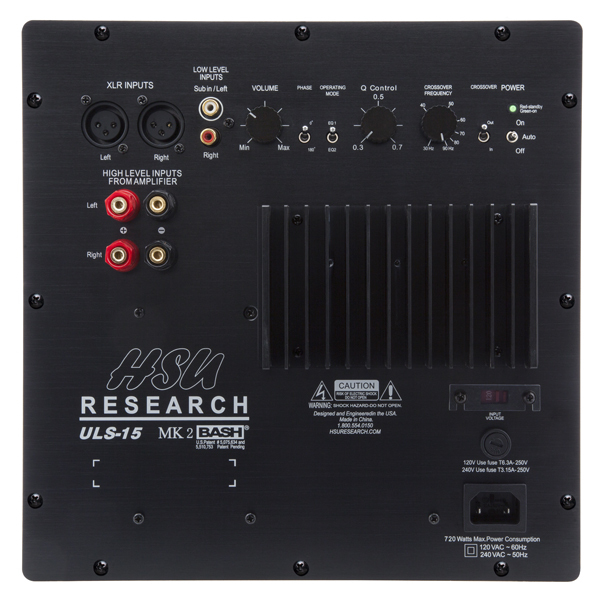 "For anyone who cares equally about music and movie performance, the ULS-15 MKII is an excellent choice. So much so that I purchased my review sample." 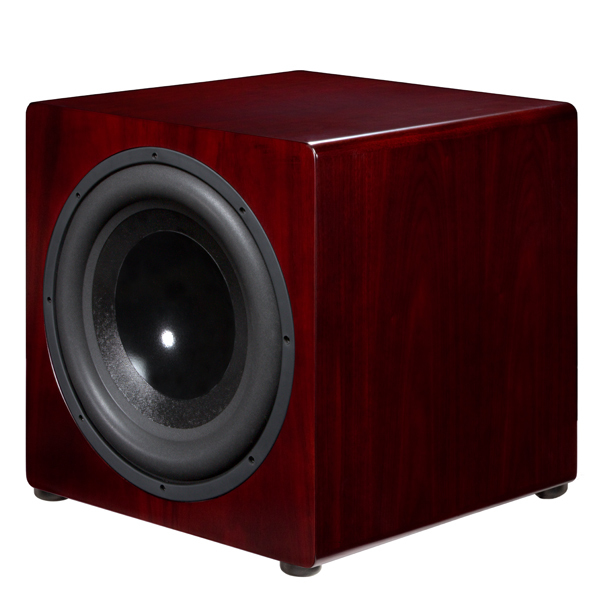 "To my ears, the Hsu ULS-15 MKII is just about everything you could want in a subwoofer. " 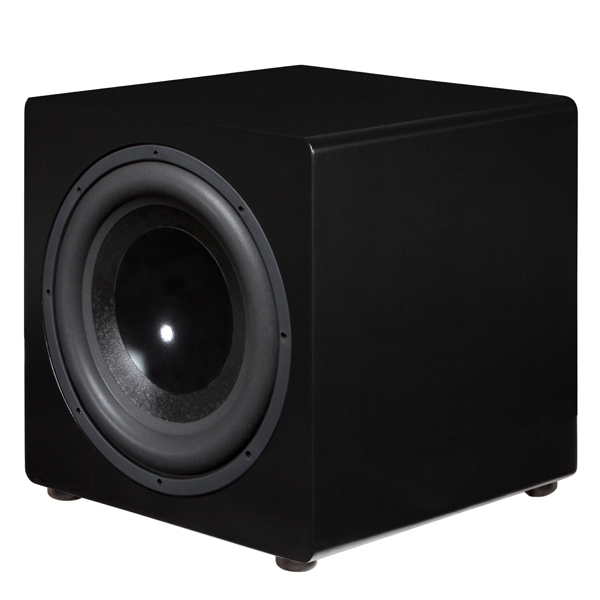 "Taken as a whole, the HSU Research ULS-15 MK2 may be the best value going in the 15" subwoofer market. At less than $850 shipped it represents an amazing bargain, yet it's not just the low price that makes it stand out. This subwoofer was executed to near perfection by HSU; from its appearance to the obvious attention to detail - and of course the magnificent sound quality - they nailed every aspect." "After spending two weeks with this sub in my system, I can say with 100% confidence that it performs way past it’s modest price point... Will certainly be adding one more ULS-15 MK2 in the very near future since my room verges on being just large enough to require the extra headroom and efficiency that running dual subs offers. Kudos to a company that offers great products at a very fair price without resorting to unnecessary hype! These fine products perform superbly and speak for themselves. " 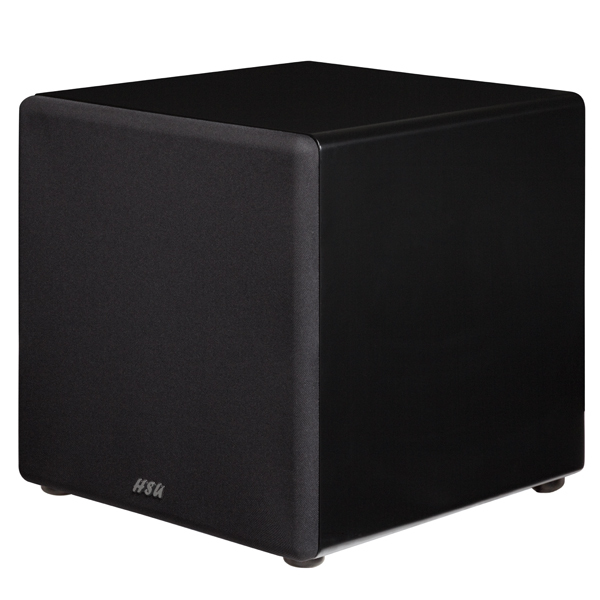 "I wanted to take a few lines to let you know how the new subwoofer has been performing. Over the last several weeks I have had the chance to audition it through various forms of music and movie soundtracks and I must say that the ULS-15 MK II is an exceptional piece of hardware. While the existing system was no slouch, the ULS-15 filled out the sound and tightened everything up in a way that can only be described as sonic perfection. I have had numerous people from all walks of life over to EXPERIENCE the sound that my home theater is now capable of producing and I have heard time and time again from them that I HAVE NEVER HEARD ANYTHING LIKE THAT BEFORE. The journey to complete my home audio system has been a long and winding road, and I want to thank you for providing the piece that finally finished it. I will be sending anyone looking for top rate audio equipment your way, and thank you for helping me to bring the sound that was always in my head into the real world." "...after some tweakings and coming from two SB 2000 and twoV1500 . I am ow really happy and satisfied with my new set up. The ULS -15 mk 2 are beautiful, sound great and are a lot more powerful that what I had before. Whatever for movies or music, this is the subs to get for the money." "Just wanted to let you know how much I'm enjoying the ULS 15 MK II. I have the sub hooked up to a system with Altec 19 speakers. 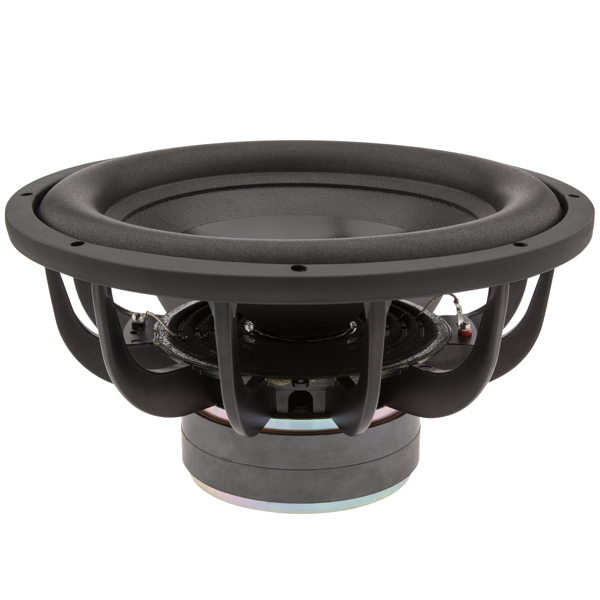 At 100db efficiency, I was looking for a sub that would be able to keep up. The sub has no problem keeping up with my speakers and the bass blends seamlessly with them. 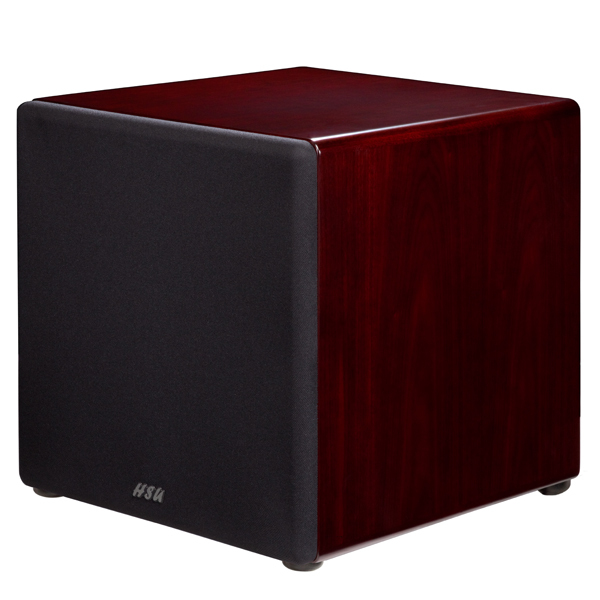 I cannot tell the difference in tonality or musicality in the speakers vs the sub and it is simply amazing. 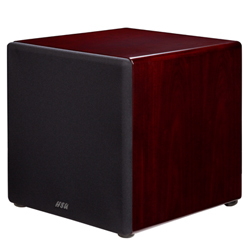 The Altecs are known for extremely low distortion, and the sub matches perfectly." "Excellent review. Ordered the mk2 yesterday. Have been studying subs for about 2 weeks and found that HSU is clearly the winner, by far. I am a newbie at ID, and have never purchased any speaker unless I heard it first. Rocked the JBL L166 back in 1976 in college, wish I still had them."